The Avant MGP Counter Height Stacking Arm Chair by Telescope is based on a simple idea; combining two patio furniture powerhouses, aluminum and marine grade polymer, and creating the perfect outdoor counter height stool. 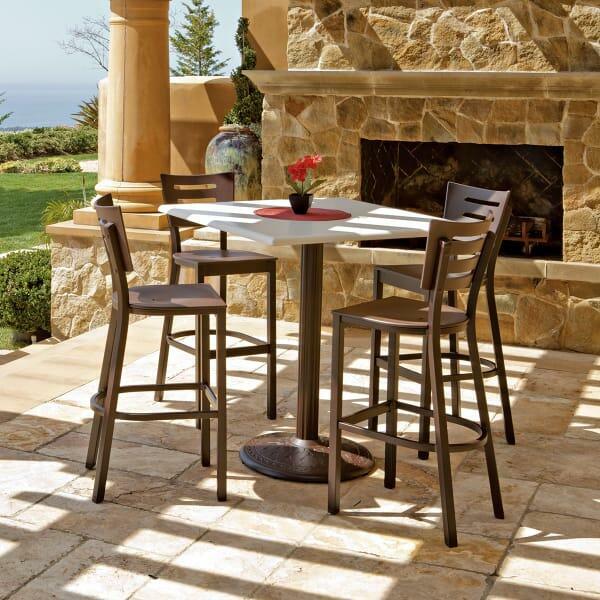 Rust-free aluminum legs support a fade and waterproof marine grade polymer seat and back, creating a counter height stool that will work at your outdoor grill island just as well as at a neighborhood sidewalk café. 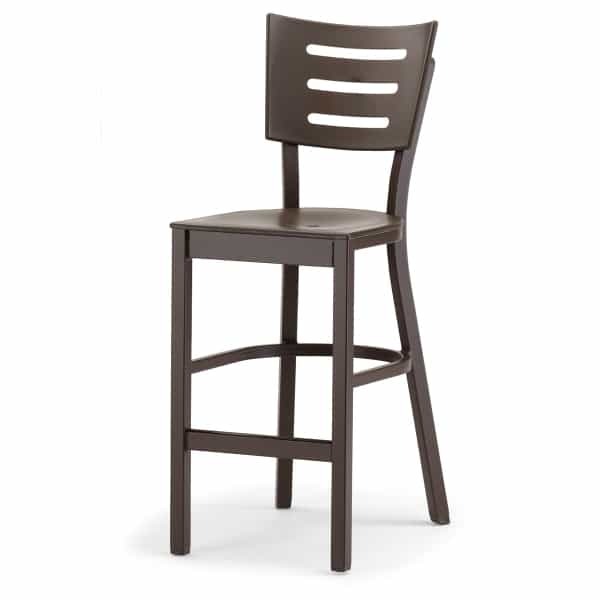 These stools require no special maintenance and they stack away when they are not being used. Choose from 11 colors or color combinations.